In order to qualify as a tax-exempt entity, nonprofit organizations must comply with certain federal income tax laws. To prove compliance, you must maintain records. There is no required recordkeeping system. Your organization can choose any system that suits its activities and clearly shows your income and expenses. To help monitor programs: Records can show whether programs are successful, improving, and what changes an organization may need to make. In fact, good records management can be a contributing factor to the success of a program. To assist in preparing financial statements: It is essential to maintain revenue and expense statements and balance sheets to prepare accurate financial statements that can be used when working with banks, creditors, contributors and funding organizations. To prepare tax returns: Your not-for-profit organization's records must substantiate income, expenses, and credits reported on Form 990 series and other tax returns. These are generally the same records needed to monitor programs and prepare financial statements. Also, keep in mind that books and records of nonprofit organizations must be available for the IRS to inspect. You may be asked to explain items reported or missing from returns. 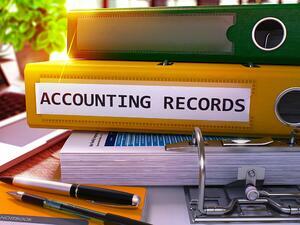 Careful record keeping speeds up IRS examinations and usually results in better outcomes. To identify where receipts came from: Your organization may receive money or property from many sources. To identify the sources, you need good records and need to be able to separate program from non-program receipts, taxable from non-taxable income, and to complete Form 990. Part of that form requires your organization to show how much support you receive from specific contributors. To comply with other non-tax requirements: For example, private schools must keep records that show they have complied with requirements relating to racial nondiscrimination. There are a number of employment records that must be maintained. To record deductible expenses for Unrelated Business Income Tax (UBIT) purposes: If you don't record expenses when they occur, your organization may overlook deductible expenses when it prepares its UBIT return. Concannon Miller has provided audit and accounting services to nonprofit organizations for decades. Learn more about our services for not-for-profit organizations here or contact us for personalized assistance with your organization’s financial records.